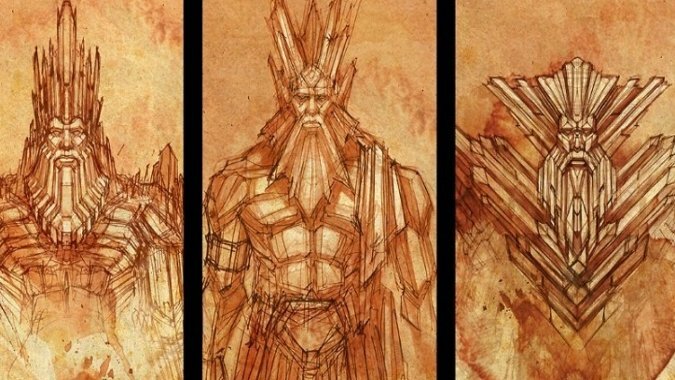 Know Your Lore, Diablo TFH Edition: What is Trag'Oul? 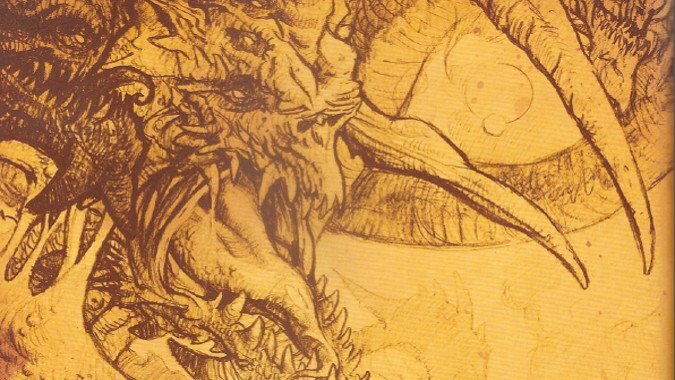 Last week we talked about what you might expect to see in a Diablo 4 in terms of the story. This week, we’re going to talk about less obvious threats to Sanctuary and the larger cosmos. These are still predicated on the Eternal Conflict but some of them actually predate it, and the Eternal Conflict itself is actually a recreation of a much older cosmic war, one that birthed the current reality that Heaven, Hell, Pandemonium and Sanctuary all exist within. The Diablo setting has always been one that talks of a cosmic war between frightening forces of purity and corruption. But there are hints of an even larger reality woven into it. This is a Tinfoil Hat edition of Know Your Lore. It is not meant to be taken for canon — it takes what we know about the Diablo setting and expands upon it. What is Trag’Oul? On the surface the answer seems simple. Trag’Oul is a cosmic force of balance that entered Sanctuary at the moment of Lilith’s Purge of the Angels and Demons that were going to try and destroy their Nephalem descendants before they grew too powerful to oppose. A vast cosmic dragon, Trag’Oul sought to try and prevent the newborn world from tipping too far towards the Heavens or the Hells. In his brief moment of entry to Sanctuary, Trag’Oul laid the groundwork by which Rathma, the son of Inarius and Lilith and one of the first Nephalem, would discover him. Trag’Oul is a contradiction and a paradox — a being of mysterious origins seemingly tied to the fate of Sanctuary, a being who balances the Angelic and Demonic influences present in the world from its very creation. Sanctuary as a world is unique. Other worlds created by Angels or Demons using the power of the Worldstone failed. Only Sanctuary, created by an Angel and a Demon working together, has lasted. This was tested many times throughout the existence of the Worldstone. Before Lilith and Inarius stole the artifact and used it together, the worlds it created were always flawed, always unable to continue existing. But Sanctuary has managed to outlive the Eye of Anu itself, the Worldstone that made it. What does this have to do with Trag’Oul? It’s said that the dragon entered Sanctuary when Lilith slew the Demons and Angels that had come there with her and Inarius. But why did that bring the dragon to the world? And more importantly, entered it from where? Was it created by that act, or did it already exist, and simply found a means to travel to Sanctuary with Lilith’s slaughter of her own followers? Did it approve of the existence of the Nephalem, which Lilith acted to protect? The greatest servants of Trag’Oul are the Priests of Rathma, started by Lilith and Inarius’ own son. They preach balance in all things and it is the power of the Balance that they use in their necromancy. And strangely enough, they depict Rathma as a dragon. It should be pointed out that Rathma predated Lilith’s action. Before the Angels and Demons turned on their Nephalem descendants, Linarian lived and worked to learn and understand the world he found himself on and the balance of forces that created him and his kind. The first Nephalem, Linarian, hid from his father Inarius after the Angel had used the power of the Worldstone to essentially hobble the Nephalem, causing any new children born to them to lose their cosmic power. He became Rathma, or student, to Trag’Oul. Together, the two sought to prevent the war between Heaven and Hell from reaching Sanctuary. Rathma and Trag’Oul trained Mendeln, the brother of Uldyssian, and it was he who created the Necromancers of the Priests of Rathma. But none of that explains what Trag’Oul actually is, where it comes from, or how it can exist at all. It is neither an Angel nor a Demon. If it was created by the Worldstone, why did it only enter Sanctuary after Lilith’s purge? Rathma successfully hid from his father, who was using the Worldstone, by retreating to Trag’Oul’s realm. How? If the Worldstone made Trag’Oul, how could the dragon hide from it? And if it didn’t cause Trag’Oul, what did? 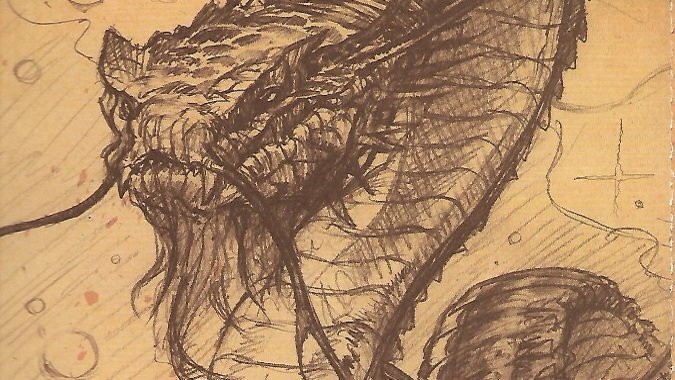 Trag’Oul has repeatedly been described as a vast cosmic dragon. 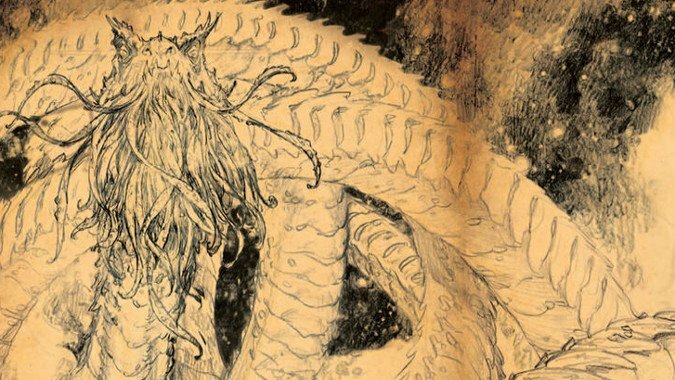 The other vast cosmic dragon we know of is Tathemet, who was created when the primordial entity Anu tore all things corrupt and vile from itself and hurled them away. They rose as Tathemet and waged war against the Diamond Warrior, the perfected form of Anu. That war that ended when the two forces destroyed one another. This implies that the two beings were exactly balanced, doesn’t it? It also implies that Anu, before that separation, was a being of balance. After all, it contained all that would become the Diamond Warrior and everything that would become the Prime Evil inside itself, did it not? I find the idea that Trag’Oul could hide itself from the Worldstone to be interesting. How could it hide from something that made it? But perhaps that’s the wrong question. Or perhaps the order is wrong. The Worldstone was a fragment of the primordial Anu, created by the coming together of Tathemet and Anu in one climactic act of destruction. Destruction that created, born from creations that destroyed. An act of balance. The Heavens and the Hells were born as the spine of Anu became the Crystal Arch and the corpse of Tathemet birthed the Burning Hells. The battleground for their destruction became Pandemonium. So what if everything that’s ever happened was leading somewhere? According to some, Trag’Oul means The One Who Is Forever. 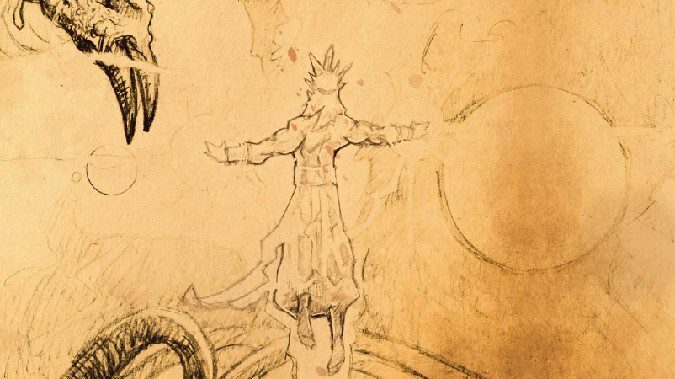 And Trag’Oul is a being of balance, a being so attuned with the balance between the forces of Heaven and Hell that the Priests of Rathma consider him akin to a god. A being who could hide from Inarius when he was using the Worldstone. The Nephalem, the beings that Lilith murdered her own exiles to protect, are beings both Angelic and Demonic by their very nature. They must find the Balance between these forces, as Rathma did. What if we have the entire origin of the cosmos laid out before us correctly but are too limited to understand? What if Tathemet and Anu didn’t seek to destroy one another? What if they sought to create everything? What if creation was the primordial Anu’s plan when the great division into Anu and Tathemet happened? 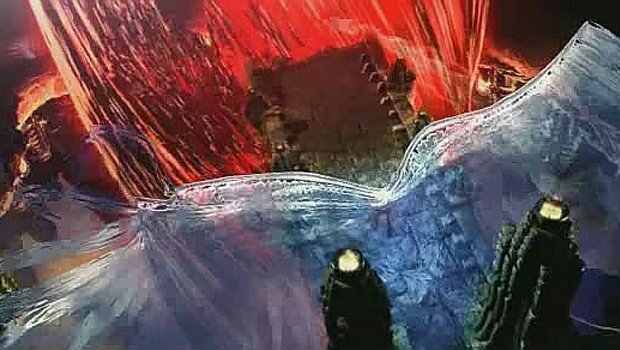 Consider that Trag’Oul only came to Sanctuary when the existence of the Nephalem was at stake. Trag’Oul only interfered with Sanctuary to keep the Angels and Demons from fighting there. It only went so far as to teach the first Nephalem how to find and maintain the Balance. The Balance that is of utmost importance to each Nephalem, as they themselves are beings of balanced good and evil, light and darkness, purity and corruption. Within each Nephalem lies a mirror of primordial Anu. There is nothing to say that Anu wasn’t a dragon. Tathemet was a dragon, and was born of Anu. The Worldstone could not find Trag’Oul, could not hamper Trag’Oul. Perhaps because it was a scale of Anu? The purified Anu is represented as a Diamond Warrior, but we don’t know what it looked like. We’ve never seen Anu. Except… we’ve seen Trag’Oul, the One Who Is Forever. The one who came to Sanctuary speaking of balance. Perhaps we have seen Anu after all. Perhaps the whole purpose of everything that’s happened — the creation of Anu and Tiamat, the destruction of both, the rise of Angels and Demons, the theft of the Worldstone, the birth of Sanctuary and the Nephalem, the destruction of the Worldstone and the coming of a new Nephalem champion — perhaps it all comes from the one perfect, balanced, inscrutable being that existed before time began. The one who is forever. And will be forever again. What is time to an eternal being?